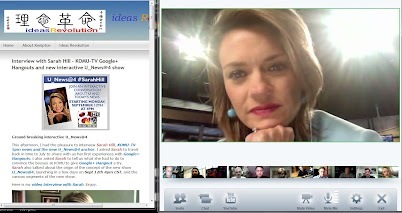 Here are some shots from the +Sarah Hill KOMU TV hangout earlier on. Sarah stayed on to chat with the hangout crew for quite a while after the show. Once again, great fun.. Sarah Hill 2 Hangouts 0.